The world of architecture and interior design has entered the phase of universal infatuation with art deco. Almost one hundred years after its birth, art deco is trendy again. Art deco is an architectural and decorative style that had emerged in the period between the world wars. For the first time it was identified as a recognizable phenomenon in 1925, at the Exposition Internationale des Arts Decoratifs et Industriels Modernes in Paris. The shortened version of the exposition’s title gave the style its name. As if arguing with its predecessor, the Art Nouveau style, which loved its buildings as if entangled in vines, the Art Deco returned to clarity of construction and a strict division of bearing and non-bearing structures. Art Nouveau turned to nature for inspiration, Art Deco was inspired by the classical order. The style tapered out during World War II. Post-war years ushered in panel residential houses, then came the glassy international office style, and after that — the eclectic postmodernism. But the last ten years witness a revival of interest in Art Deco that threatens to morph into a real craze. 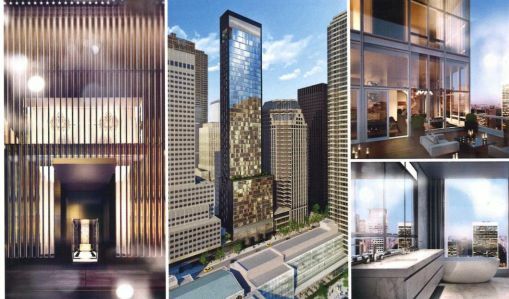 The year 2014 saw the inauguration of deluxe residential compounds Baccarat Hotel & Residences in New York and 140 Rue de Grenelle in Paris. The first one is situated right next to MoMA, a 10 minutes’ walk from the Central Park, for the second one the title is the location. The interiors of the former were designed by the architect Tony Ingrao, of the latter by Thierry Despont. Both of them chose Art Deco, though in different fashions. 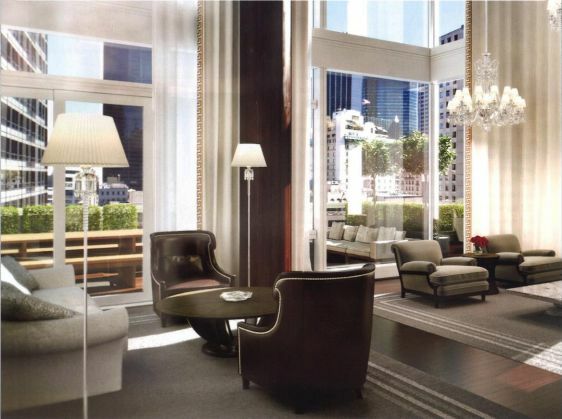 The American apartments are decorated with a kind of ebony- coated macassar with nickel-plate profile, glass and leather. Paris apartments make use of marble, light-coloured oak, flax and wool of natural colours — grey and beige. The Art Deco allusion is obvious. In Russia, the situation in the private residential sector is similar. The architect Dmitry Dolgoy (studio KonceptDesign) specializes in suburban estates. In the course of his 20 years of work he has built 40 houses with area ranging from two to nine thousand square metres. According to his observations, the Art Deco style is something his customers can understand, and it is in demand. Simple geometric shapes, large windows in heavy wooden frames, a lot of wood in external and internal finish, sloping roofs with protruding cornices, open space inside the house, comfortable monumental furniture. Both in general terms and in details the architect improvises on themes from the 1930s. Dmitry Dolgoy's hobby is World War II history. He is inspired by the imperial vision of the architect Albert Speer. Dolgoy tries to express the feeling of power typical for Speer's architecture in the genre of a private residence. In a house like that, one feels protected. Another private house in Art Deco style was designed and built in Russia by the architectural company Faber Group (architects Alyona Franchan and Boris Matveyev). This studio designs villas and detached houses all over the world, from America to Europe. 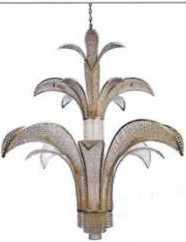 Almost all decorative elements are created by the architects themselves. Their blueprints turn into crystal lamps, furniture, fittings, everything up to har dware. Decorators create ornamental drawings and combinations of texture for all surfaces, from walls and ceilings to silk tapestries and sculpted glass. Art Deco of the 1930s was the last style that made use of interiors and furniture made to order; after the war, everything became mass-produced. A unique approach to design, when one-of-a-kind objects create a unified composition, puts the work of Faber Group in the same category with the founders of Art Deco style. Handmade interiors are also typical for the masters from Sergei Surovtscv and Pyotr Bragovski Creative Studios. Unlike their colleagues who mostly work with Western contractors, this studio only uses the workforce of Russian craftsmen. Stone walls, plaster decorative friezes, glass panels in the lalique style, bevelled minors, original design furniture with marquetry — I he tills and crafts skills of Creative Studios are countless. Art Deco is their favourite style. Their interiors as a whole and separate objects are powerful and honest: where the French would have used veneer sheet, the Russians use solid wood; where foreigners would have opted for artificial stone, the Russians only use the real thing. Interior designer Angelina Askecri studied in Milan, and shares her life between Moscow and Paris, creating interiors rich in decorative detail. 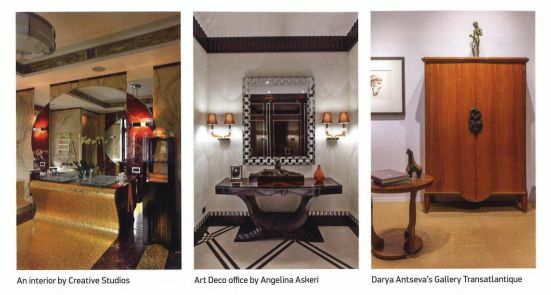 One of her memorable recent works is an office in Art Deco style: marble, dark varnished wood, mirrors that create the atmosphere of New York chic in downtown Moscow. The fad for Art Deco generated a revival of interest for antiques. An historian Darya Antseva opened gallery Transatlantique at Moscow’s Vinzavod modern art centre. The gallery offers European furniture from the 1930s. Stylistically it is similar to Stalinist Empire style. In the 1930s, Soviet architecture was booming, but there was virtually no furniture industry. Ms. Antseva buys up European objects, often in rather miserable condition. and spruces them up. The restorers are artisans from Czech Republic who made Moscow their home. The rapid resurrection of An Deco may be interpreted in various ways. Perhaps this is a reaction to the previous omnivorous postmodernism, perhaps this is weariness with furniture made of chipboard and PVC. Or desire to have things that would last centuries, not mere years. One could not exclude the link between political neo-conservatism (both in Russia and in the world) and interest in classical shapes in architecture and art. Be it as it may, the vogue of Art Deco, just as the vogue of Monica Bellucci in film, is not the worst thing in the world. 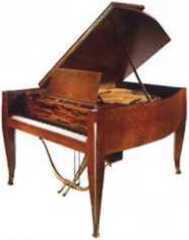 Cmile-Jacques Ruhlmann (1879-1933) descended from a renowned family of cabinetmakers. He first exhibited furniture made to his design at the arts and crafts show in Pans in 1913, and for 20 years after that he was the trendsetter in the field. Ruhlmann used expensive finishing materials and brought both the appearance and the functionality of his furniture to perfection. Ruhlmann worked for the Rothschilds, for Indian maharajas, he decorated the interior of the 6lys£e Palace, the residence of French presidents. In his will he demanded that the company be dissolved after his death; this is probably the reason why his things are so incredibly expensive. In 2001 at Christie’s a lounge chair "on skis' made in 1929 went for 62.8 million.